The past three weeks have seen a number of big-time movies hit the spolight. 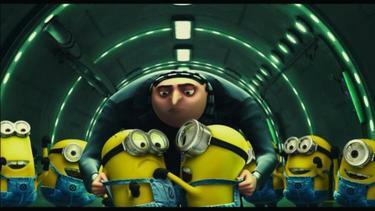 In this consolidated review, Twilight Eclipse, Despicable Me and Inception. This is the best of the three Twilight movies thus far. But that’s not saying much. Granted, the action sequences are better but the dialogue is still goofy, some scenes still drag on way too long and the acting (especially Robert Pattinson) is laughable at times. I swear in some of those scenes, he sounds so constipated. I do recommend reading “The Short Second Life of Bree Tanner,” before viewing this. It will give you another perspective aside from the on-going love triangle between Bella, Edward and Jacob. And while it may be extremely cliche to say this, the book is so much better! I’m gonna be honest and say that the only reason I enjoyed this movie was because of the minions. Granted Steve Carell and Russell Brand bring a nice back-and-forth as the bad guy vs. the badder guy, but let’s face it, this movie is all about the minions! And the good news is that there is word that a sequel is in the works with a Minions short as well! The bad news, it’s not scheduled to come out til 2013. You can even go to this site and create your own minion. It’s rare that I can say this, but I have honestly loved every single film Christopher Nolan has ever directed. Greats like Akira Kurosawa, Stanley Kubrick and Quentin Tarantino can’t even garner that kind of response. From Insomnia to Memento and on to the Batman films, Nolan has walked that line of smart, dark, complex filmmaking and still found a way to make it entertaining and profitable. 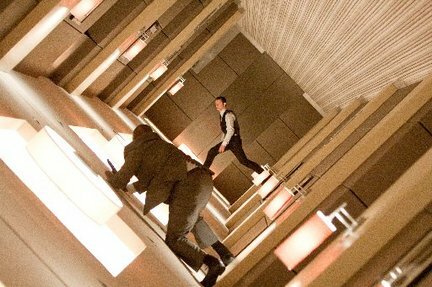 So it pains me to say that the first thirty minutes of Inception had me close to crossing Nolan off that very short list of filmmakers who were perfect on my list. But I kept the faith and when the squad FINALLY got around to performing Inception, I was rewarded with truly awesome directing. The way everything is pieced together during the Inception process was absolutely stunning. Granted while the Dom/Mal romance-gone-sour subplot gets a bit annoying and Ellen Page is left to deliver clunky expository information for us lay-people in the audience, Joseph Gordon-Levitt delivers yet another excellent performance. So I guess in short, skim thru the first thirty or so minutes and jump in when Leo drugs Cillian Murphy and enjoy the ride… Ah yes, and I hated the ending. Tags: Akira Kurosawa, Christopher Nolan, Cillian Murphy, Derrick Deane, Despicable Me, Ellen Page, Inception, Joseph Gordon-Levitt, Quentin Tarantino, Russell Brand, Stanley Kubrick, Steve Carell, Twlight. Bookmark the permalink.